The role of the JCR Chairman is to update and enforce the JCR Standing Orders, these are effectively a constitution for the running of the JCR, and are there to ensure fairness for all JCR members and to ensure the roles of the Exec and by extension, all positions affiliated with the JCR are completed. The JCR chairman and vice chairman are also responsible for any complaints about sitting members of the Exec, and are responsible for ensuring that appropriate action is taken when necessary. The JCR chairman also runs the JCR meetings, in which important issues for the JCR are discussed and voted on, and some positions within college are elected. 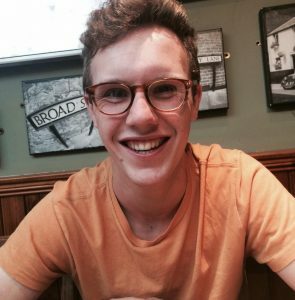 My name is Ben and I am the JCR Chairman for 2018/19, I am a fourth year Engineering student and from the South East of England in Kent. I am a part of the College Rugby team, and from time to time will also join in with the Cricket, Tennis and Squash teams. I am also Supervisor on the Undercroft Bar and joint social-head of Castle Security with Will James. I am often around in college choosing to do a lot of my work in the Lowe library so feel free to pop over and say hello and I will be happy to answer any quesitons that you may have.